Everyone knows you should eat more fruits and vegetables. But what if you have picky kids (or a picky spouse) who just won’t eat their veggies? Then this list of healthy veggie recipes is for you! 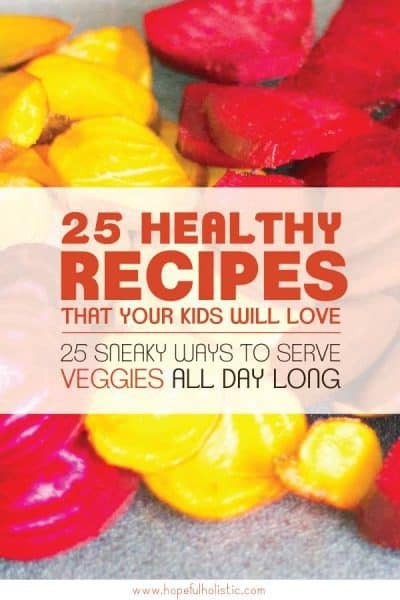 Here is a collection of 25 healthy recipes with lots of veggies. Some of the recipes might not seem that healthy at first glance… But they are! These recipes are perfect for families who are trying to eat more healthfully but don’t want a plate loaded up with green leaves, or for toddlers who are in that stage where they’ll throw anything that looks remotely vegetable-like off the plate. Use these recipes to make the transition to healthy eating a lot less painful! Want to increase vegetables in your diet but don’t know where to start? Any of the below recipes are a good way to start eating more vegetables without missing out on yummy food and desserts! Just think of it- you could make a few of these easy vegetable recipes, and by tomorrow, you’d be able to have plenty of healthy veggies in every single bite of food you take, and not even notice! You might be surprised at how delicious some of these healthy veggie recipes are. Starting your day with veggies is a great idea, but who wants a salad for breakfast? Instead, try some of these hidden veggie breakfast recipes to help start your day off right. 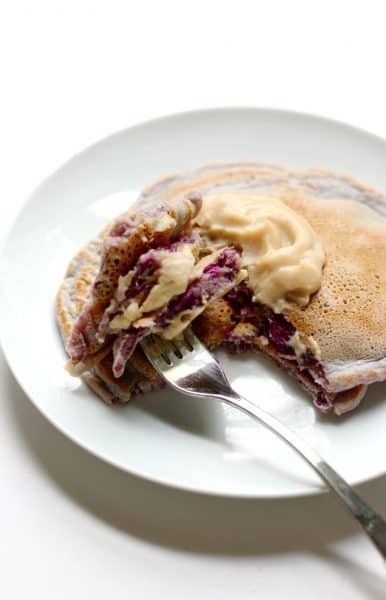 First on the list are these pretty pancakes. You can make them smooth enough that it’s impossible to tell it includes sweet potato! And if you get purple sweet potato, it’ll give you that nice lavender hue you can see in the picture above. My hubby enjoys making breakfast on the weekends and I’m definitely gonna request these from him! What’s better than chocolate in the morning? Guilt-free chocolate in the morning! With this recipe, you can have your (pan)cake and eat it too. 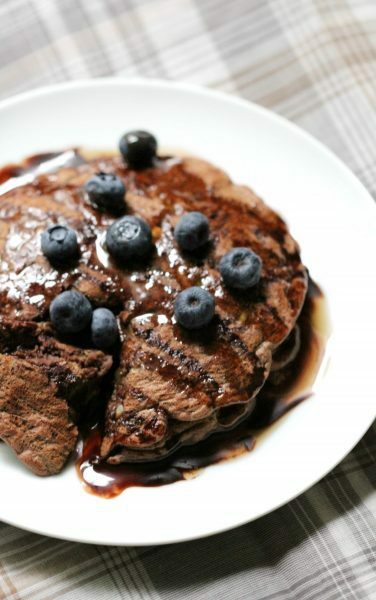 This clean eating recipe has all you need for soft, thick, fluffy pancakes that will help fill you up and get you off to a good start. You might just see this recipe become a new weekly tradition! 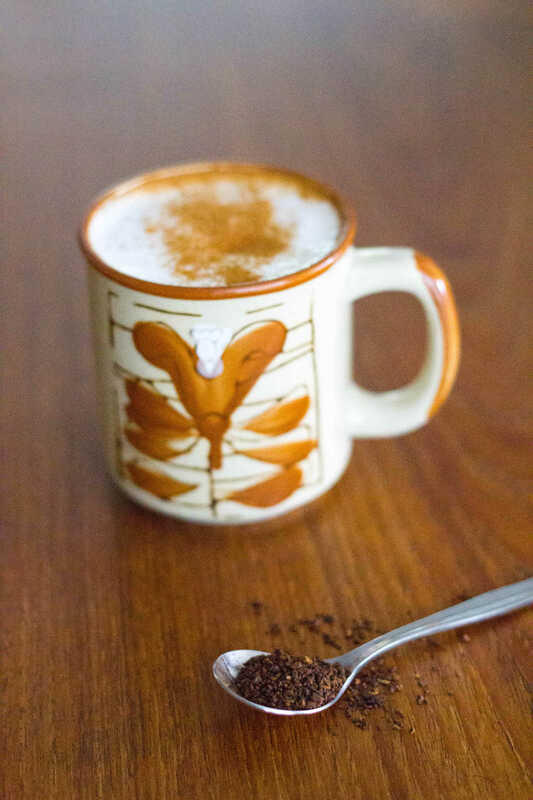 If you’re looking for a yummy warm drink to accompany your healthy breakfast, you should definitely check out my coffee substitute recipe! It has all the flavor you love about coffee, with none of the jitters or crash, and even better health benefits! 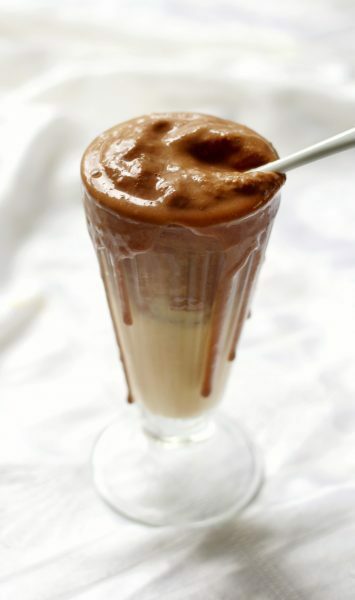 One of the secret ingredients is a starchy vegetable powder called Maca– it’s great for boosting stamina, endurance, fertility, and libido, plus it adds a sweet, rooty flavor to your drink! You can buy Maca here. It’s delicious in all kinds of recipes! There are a ton more healthy Maca recipes here. Usually, quick grab-and-go snacks aren’t very healthy. Most snacks you’ll find at the store are packaged foods, wrapped in plastic, that are loaded with sugar and processed ingredients. But if you spend just a little time prepping some snacks, you can something healthy, satisfying, and veggie-filled next time you’re looking for something to munch on! These snacks all use plenty of vegetables. They should all freeze well too, so feel free to make tons so that you have a guilt-free snack (or breakfast or lunch!) on hand whenever you want! These hidden veggie muffins are healthy enough that you could eat them for breakfast or any time of the day! Since there’s no refined sugar, you can eat these healthy treats without any fear of a sugar crash. Plus, these muffins don’t need cupcake liners, so if you buy the ingredients at a bulk store, you could potentially make this snack zero waste! Bonus! Everyone’s favorite summertime treat is back, this time with a twist! 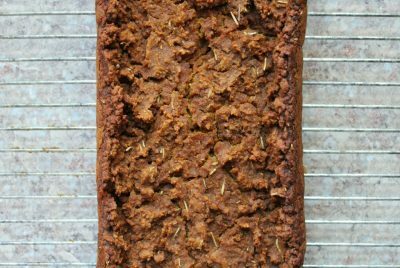 The maple oat mixture that goes on the top takes this zucchini bread recipe to the next level. Plus this is another recipe that could easily be your breakfast, snack, lunch, or dessert! 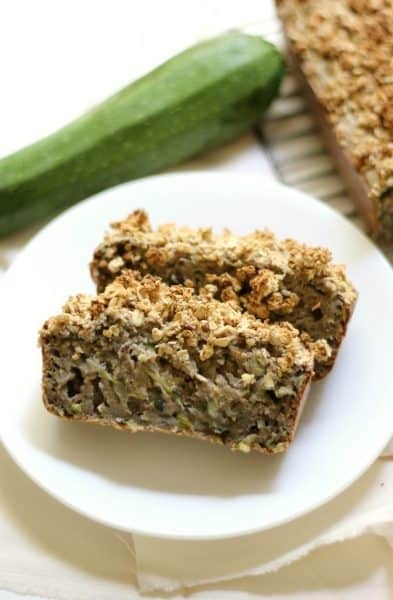 This recipe is a great way to use extra zucchini from your garden- I know zucchini bread is one of my favorite things to make in the summer when I inevitably plant too many zucchini plants! This healthy bread recipe is completely allergen-free and low-carb, without losing any deliciousness! It’s hard to find grain-free bread recipes that are also egg-free, but this one fits the bill- it’s even sugar-free! Plus bonus points for finding a creative way to use squash. This bread actually uses butternut squash flour, so you can make it year-round instead of waiting for your squash to grow! This recipe uses any non-dairy milk, and I’d recommend almond milk. Most storebought almond milk has gross thickeners and preservatives (not to mention they’re crazy expensive) but luckily you can make your own healthy almond milk at home, quickly and easily! 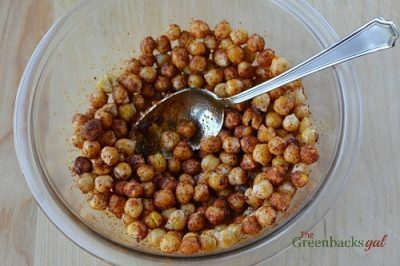 These snacks are super easy to make quickly. Once you’ve got the basic recipe down, you can experiment with all kinds of fun flavors! If you want an easy way to get kids to eat more veggies, smoothies are the way to go! They’re super healthy and are one of the easiest vegetable recipes out there. The best part? They don’t taste like a salad, or even worse, brussel sprouts! Nope, these easy smoothie recipes are pure yum and will make veggie-lovers out of your kids in no time. And if you want a way to reduce your waste but still serve your smoothies in a fun way, serve it in a mason jar and pair it with a glass straw! These glass straws are wide and perfect for smoothies, milkshakes, bubble tea, and more! It can be really hard to get kids to eat spinach, much less enjoy it! 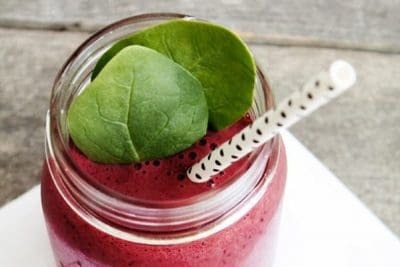 But with this healthy smoothie recipe, your kids will be begging you for more spinach without knowing it! This smoothie does turn out a little bit green, so if you have kids that won’t eat anything green, just toss in some blueberries! Recipe and picture from Oh, The Things We’ll Make! Mmmmm. 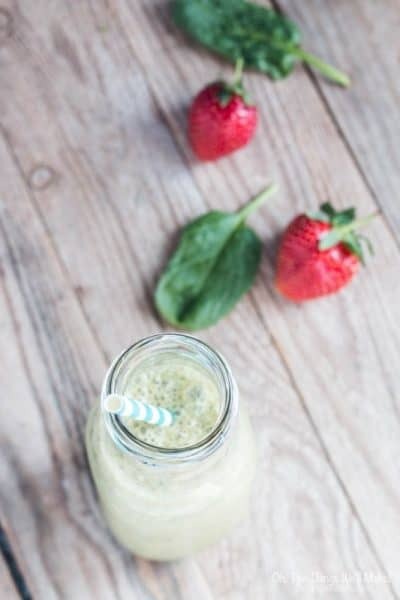 This smoothie is a classic, but it’s been healthified using a secret veggie ingredient you’d never guess! This smoothie is perfect fuel for recovering from a workout, but it would also work for an on-the-go breakfast! This recipe uses milk, and it’s another place you can easily substitute homemade almond milk for a cheaper, healthier option than storebought. This yummy fruit and vegetable recipe will be your picky eater’s new favorite drink. It’s got plenty of vitamin A, vitamin C, protein, and calcium, making it a great healthy snack for kids! Plus, this recipe really is sneaky- read it to find out the secret to including spinach in a recipe without any telltale green flecks left over! It might be a little easier for you to get your family to eat their veggies at dinner than during dessert, but it can still be really tough if you have picky eaters! These vegetable main dish recipes are perfect for busy nights or healthier lunches. If you need more ideas for healthy recipes for lunch or dinner, check out my clean eating board on Pinterest. The great thing about making meals at home is that you can slowly increase the amount of veggies in your meals and no one will notice! At least, that’s true of this recipe. 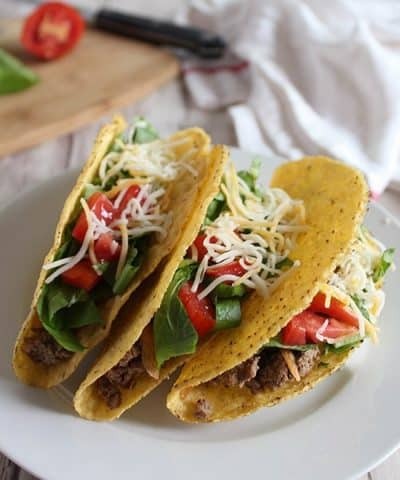 These beef tacos use grated veggies that blend right in with the rest of the ingredients. Even if your kids want to leave the lettuce and tomatoes off the top, they’ll still get their veggies! This is a perfect healthy dinner option for picky eaters. Here’s another sneaky veggie recipe from south of the border. These quesadillas might seem like plain cheese, with no veggies at all, but you might be surprised at the secret ingredient that makes this into a healthy dinner option. It’s a great vegetarian-friendly recipe for the whole family. This post also includes the recipe for a fresh cilantro lime cream to go with your quesadillas! Another healthy sneaky squash recipe for you! 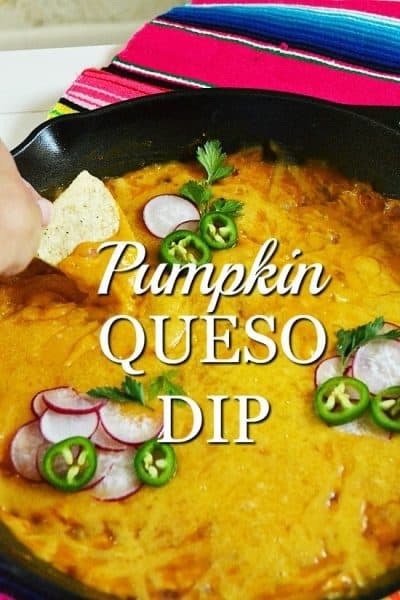 This quick vegetarian recipe doesn’t taste primarily pumpkin-y, but the pumpkin does help to smooth out the texture, and it adds an amazing flavor! There isn’t any Velveeta in this recipe and I promise you won’t miss it. This would be a fantastic vegetable side dish for a crowd. Hubs and I always bring something like this to Halloween parties. Try this dip as a topping for veggies (cauliflower, broccoli, or celery) for an even healthier option. These dessert recipes are sure to satisfy even the pickiest of eaters- in most of these recipes, you can’t even tell there are veggies in there! But believe it or not, they’re there. So, despite popular opinion, it’s possible to make a healthy dessert that’s still completely rich and satisfying, and these healthy dessert recipes prove it! Who doesn’t love fudge? Most fudge is about 99% sugar (honestly it gives me a headache) but this delicious fudge recipe actually uses black beans and coconut oil for a rich, decadent dessert! I know, I know, black beans aren’t actually veggies, but this recipe is still good for you! It can also be adapted to any dietary restrictions you might have- it’s already vegan, sugar-free, grain-free, gluten-free, guilt-free, and 100% yum! If you don’t have black beans, try out the recipe for mint fudge with lentil from Tasting Page. Feeding picky kids? If you want a fun (colorful!) 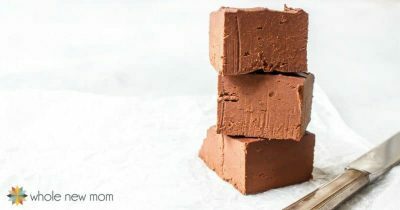 fudge option for toddlers, check out this naturally colored, low-carb vegan fudge that’s loaded with healthy ingredients! Whole New Mom also has a fantastic vegan and sugar-free secret ingredient mint fudge. You’ll have to read it to find out what the secret ingredient is- I was surprised! Or if you’re a fan of coconut, you might want to try a yummy paleo coconut fudge. One can never have too much (healthy) fudge! 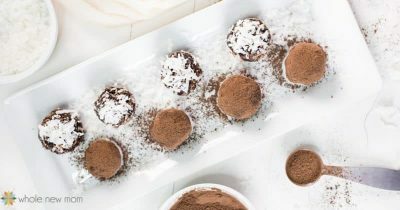 These keto, paleo, vegan truffles are to die for. The avocado makes them super creamy without any dairy, and the cocoa makes them rich and delish. Plus you can add any toppings or mix-ins you want! This dessert is easy to whip up in a flash if you’re having company over- I bet they won’t be able to guess what the secret ingredient is! Avocado to the rescue again! This time, avocado helps make this pudding/mousse ultra smooth, but just like the avocado truffles, you can’t even taste it! This easy veggie recipe is super quick to put together, and it’s perfect for most diets too. 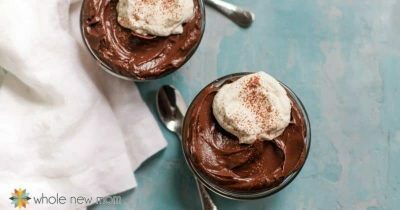 This mousse is a great option for hiding vegetables in food for adults, or kids who are veggie-sensing sleuths. I like making a double recipe any time I make this because it disappears way too fast in our house. You should try it and see what I’m talking about! Mmmmm. 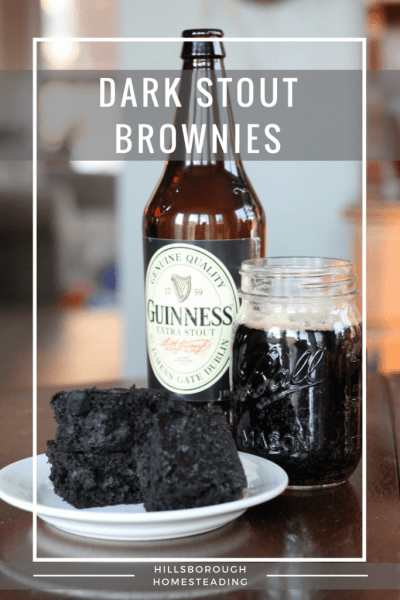 You can make these brownies extra-tasty with either a stout beer or coffee! And the secret ingredient? Black beans! No one will know. Note that this recipe has gluten and it does use sugar, but I’m sure you could easily substitute the sugar for about a half cup of maple syrup if you want! If you want another dessert that sneakily uses black beans, check out this healthified double chocolate dessert dip. Or if you’re feeling creative, this dark chocolate cookie dough recipe uses chickpeas! I’m a sucker for a good bowl of ice cream. Just ask my husband how often I request his wonderful butter pecan ice cream! I love it. And ice cream is even more fun to eat when you know it’s good for you! This healthy, paleo, vegan nice cream is very nearly a vegetable-only recipe. 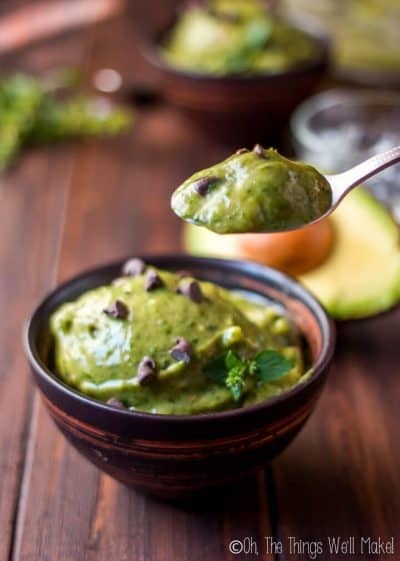 It’s diet-friendly, quick to whip up, uses avocadoes, and is naturally colored with another healthy secret ingredient- read the recipe to find out what it is! There you have it! 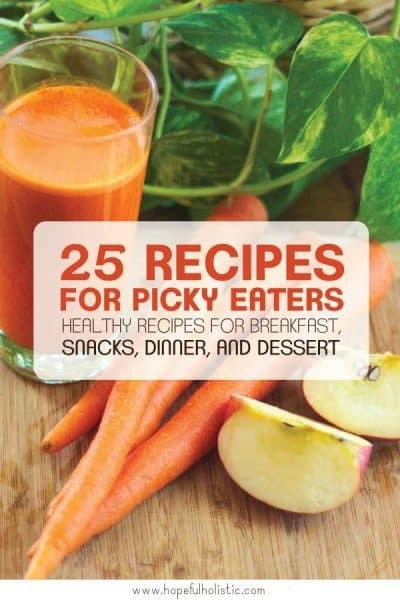 Some great ideas to help you sneak entire servings of veggies into breakfast, snacks, smoothies, dinners, and desserts. I hope you feel inspired by these healthy sneaky veggie recipes. The only thing you have left to do is decide when you’re going to break the news about all the vegetables you’ve secretly fed to your family and friends! What an amazing list! Pinned to save it for later. I love this list! And thanks for sharing my recipe. So many great ideas! I love sneaking greens into smoothies and other purees. I also like sneaking veggies I don’t like very much (like broccoli) into soup purees with other veggies. I forget they are even there and quite enjoy the soup that way. Some of these other suggestions are great for even pickier kids, though.